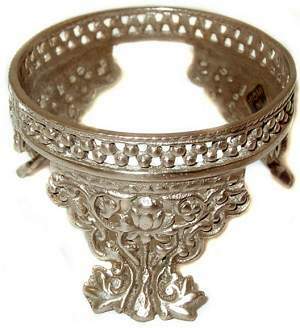 The King George Silver tone stand lends a royal appearance to any decor. This coronet style stand has intricate tulip and beadwork designs and comes in three sizes. The lacquered finish assures long term easy care. 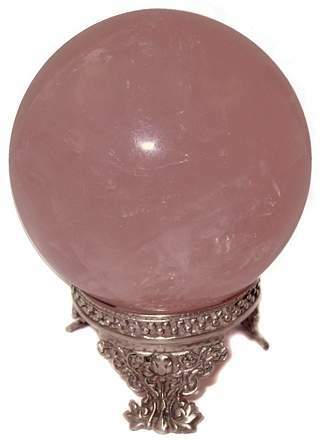 Solid brass polished stand in medium is seen above with a 85mm Rose Quartz Sphere which is sold separately. Click here for brass King George. SALE - Now ...................$15.95 and up.